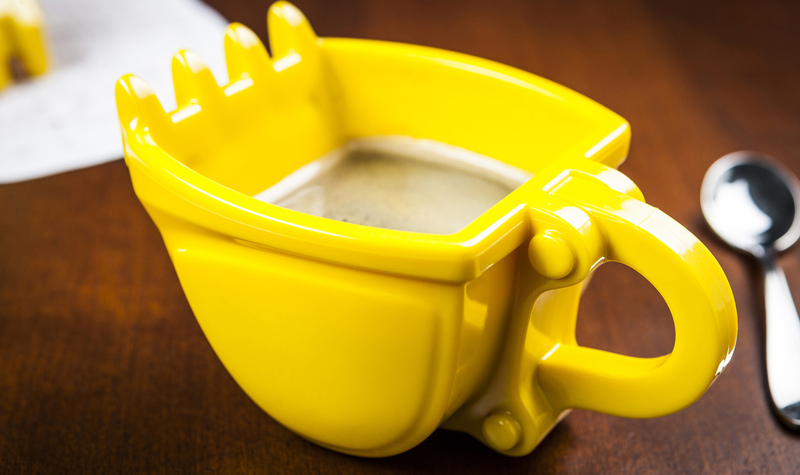 The unique design of the digger-mug has been published on the internet as a photo-realistic model in 2010 for the first time. The virtual photo of this mug was on its way around the world on social media sites such as Facebook or Pinterest, in particular. The creation elated not only me, but also many others. 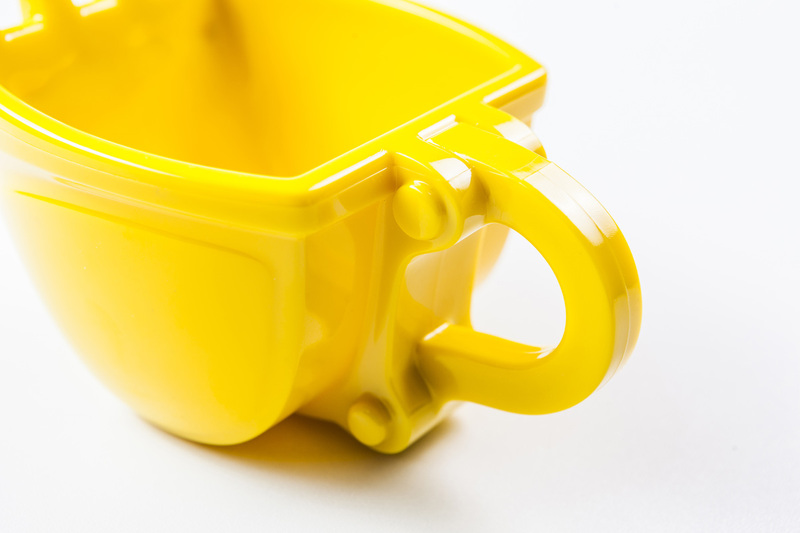 The extraordinary concept of a mug in the shape of a dredger bucket simply needed to be put into practice. Since then young and old loves the registered design. 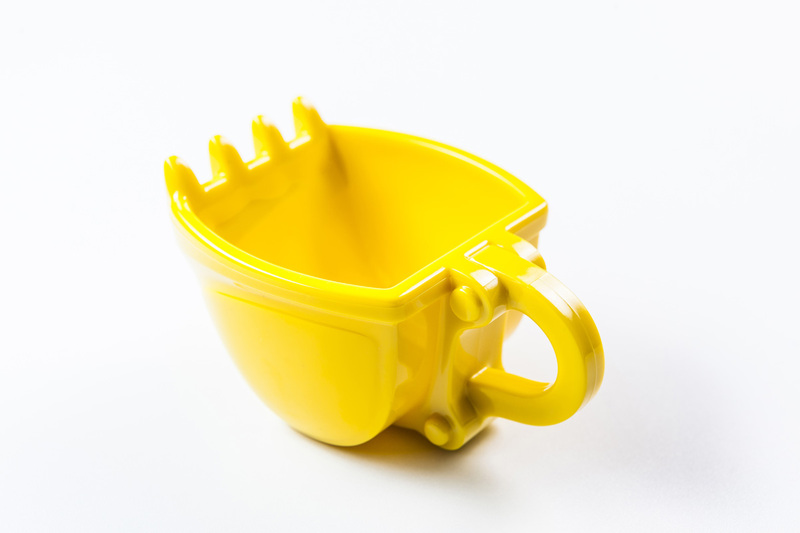 No bulk product - The mug is produced in small batches. First quality - The manufacturing in Germany is of the highest quality and durability. Unique design - You get something special that not everyone can call their own. 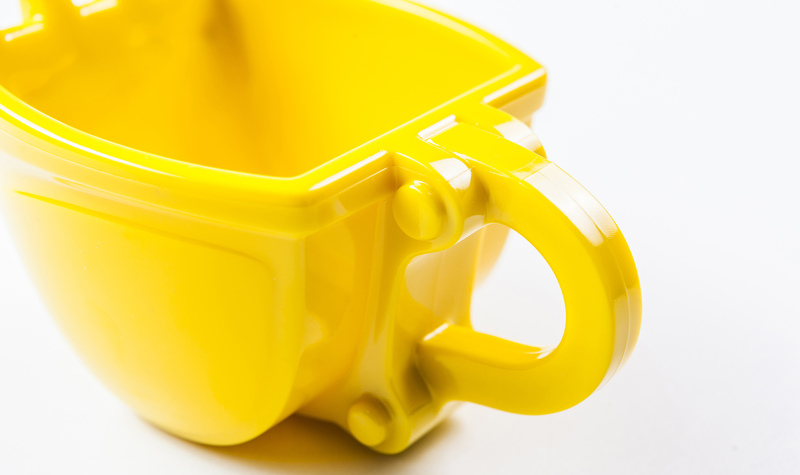 There are only professional companies and people involved in the mug's manufacturing. This is how the best quality and a product at the highest stage can be delivered. 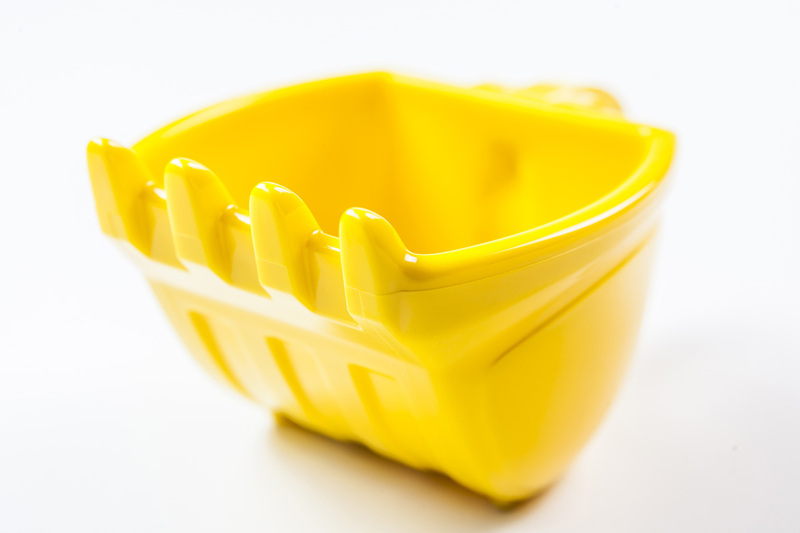 Specialist for the manufacturing of small batches in plastics. ...it is said, that the biggest mail-order business in the world has already sent one or two parcels. 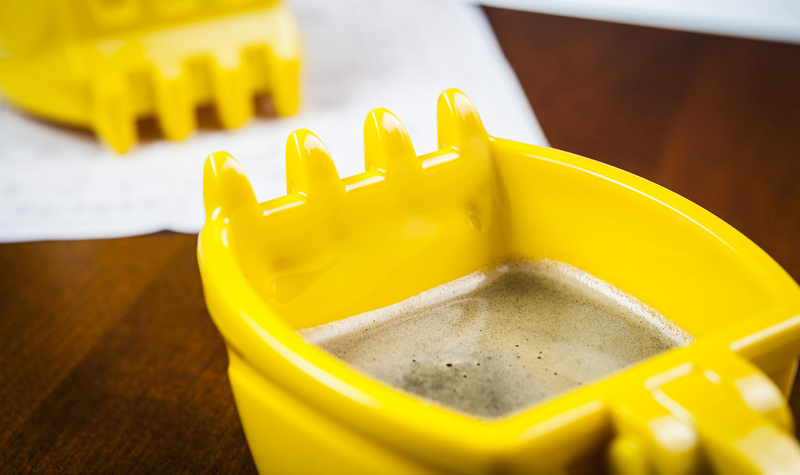 3D Print professionals in perfection. A must for every operator. 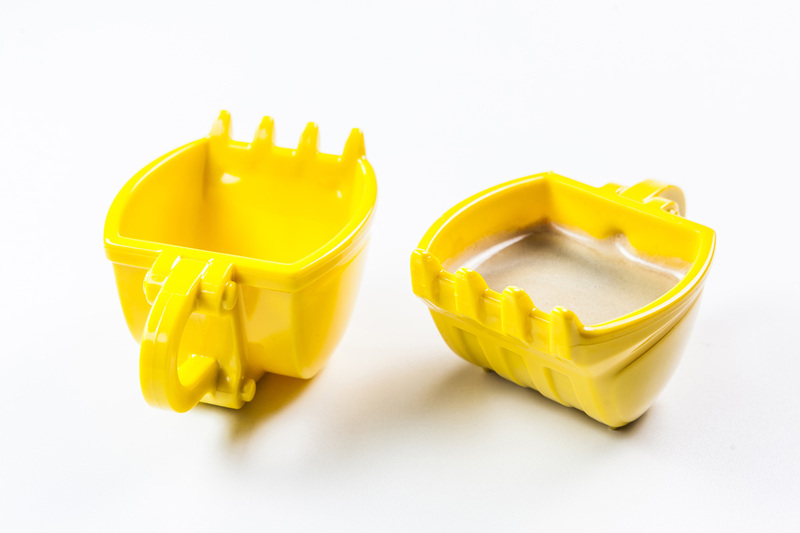 Ideal as a gift for little and big operators. Fans of construction machines will particularly enjoy it. 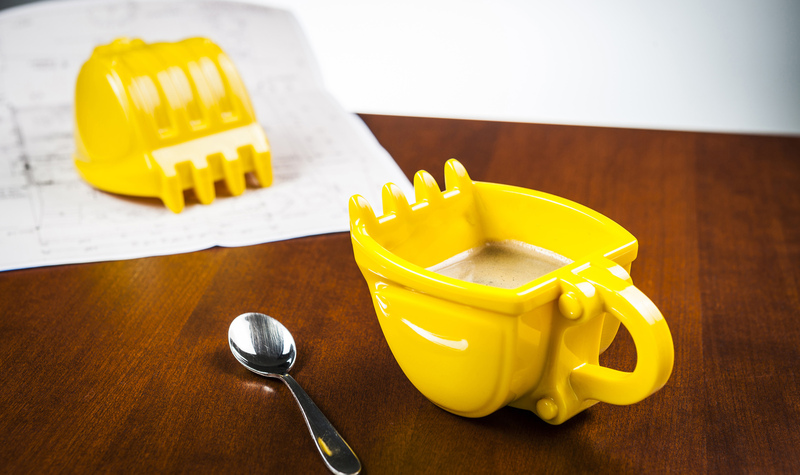 Hits the spot at the building site, but also in the office. Can be used for a variety of other things. Please send photos. Here you can follow us, so you will always get the latest information: We speak English and German.